PartyBingo have 75 ball Jade Garden and 90 Ball Lilac Lounge including instant bingo, no download required play straight from your web browser. The Bingo room also has a chat room with hosts who are always super friendly to all the players. Party Bingo offer 100% first deposit bonus up to £100 including £20 worth of bingo cards for free just for signing up. 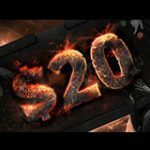 PartyBingo offers a special UK bingo sign up bonus, get a free £20 just for signing up to Party Bingo to take advantage of this offer click on Get £20 Free PartyBingo. The free money can be used to play 400 cards which are worth 5p each. A minimum deposit of £15 is required to withdraw any winnings. The Lilac Lounge is a 90 ball bingo room where tickets costs only £0.05 per card and you can buy a maximum of 30 tickets each game. There are progressive jackpot prizes hit a full house in less than 41 balls to win. The Jade Garden is a 75 ball bingo room tickets costs only £0.05 per card you can buy 6, 10, 20, 30 or 40 tickets each game. Hit the bingo progressive jackpot by getting a Full House in 42 balls or less. 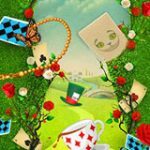 BINGOGBP 100% up to £100 Extra on first deposit, this 100% up to 100 extra pounds bonus is for PartyBingo.com on first deposit. This bonus code is valid for PartyBingo only. WAPBINGO$25 with first deposit, $25 extra bonus when you make a minimum deposit of $50 at sign up. 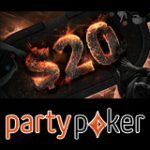 This bonus is for PartyPoker, PartyGammon, Party-Bets, PartyCasino and PartyBingo. 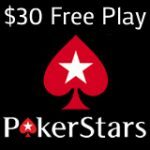 BINGO30 - 30% up to $150 Extra get 30% up to $150 extra bonus when depositing your first amount. 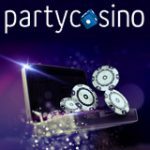 This bonus code is for Party-Poker, PartyGammon, PartyBet, Party-Casino and PartyBingo. 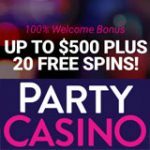 BINGOWAP 100% up to $100 extra bonus. This bonus code is for PartyBingo only.